The participating members of Team RodeO this year consisted of a versatile mix of individuals from three different offices (Wimbledon – ODE, Central London – SPR and Great Yarmouth – ODEAM) with a positive fresh outlook on the competition. 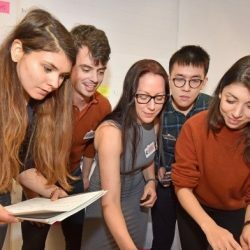 Wei-Ting Hsu (Structural Engineer), Katalin Jakab-Csizmadia (Graduate Environmental Engineer), Catherine Gibbs (Inspection Co-ordinator), Narmina Hasanova (Safety Engineer) and Matthew Woodall (Graduate Operations Support Engineer) jumped in the saddle to succeed the project goals. The competition itself was a simulation of a given project (construction of an environmental monitoring building in South America, which is next to a river running through an industrial zone). The details of the project were given in advance to allow the team to make prep works. After careful preparation for the competition (we made a critical path network diagram, a GANTT chart and came up with a plan to manage the different tasks), the Active Cup started with series of lectures dragging some of us back to our sweet memory of the joyful times at university. The lectures provided us with extensive knowledge on project management which proved essential during the competition. As the freshly gained knowledge had to be used immediately, the course gave us not only theoretical but practical knowledge. This was found to be a better way to learn than if it was only a 1-day course. With the newly gained knowledge in mind, Team RodeO took the bull by the horns and further refined the basis of the project on Friday night. By midnight, we decided to have an (initially thought) medium risk strategy that took into consideration SMART objectives and the Active Principles. One of the lessons we learned was that combining effective communication and collaboration is essential, so tried to be led by this notion. The different tasks were also allocated to every team member based on individual interest and we ensured that everyone could see the bigger picture and have a common understanding of the project before the competition. After a good (but way too short) sleep, Team RodeO started the competition full of enthusiasm and energy tall in the saddle on Saturday morning. Each member immersed themselves in their individual activities once the simulation started. The project started strongly and the management remained organised; we felt that the reins were in our hands. However, as it happens in real life, the circumstances changed: two members were swapped out and replaced by new faces from other teams. On top of ensuring the simulation was going smoothly with two members down, the remaining team members were now tasked with integrating the new members and teaching them our methods of project managing. This caused us to make mistakes and led to temporary chaos in the project office. After this miniature defeat, Team RodeO was reunited once more, got back on the saddle and brought the project back under control by effective management of change. At the end of the first part of the simulation we had to give a presentation of our spending and forecast the ‘profit’; it turned out that we couldn’t rein in our spending. After some networking with food and wine we all went back in to the war room for some detailed planning to get a head start on the final day. We had to consider a different approach to get the project over the finish line, maximising the profit. The next morning the effects of wine on decision making were made clear, luckily there was plenty of time to rectify any issues, which paid off as the rest of the day went very smoothly. We finished in a timely manner with a higher profit than was predicted the night before. The competition itself was designed to simulate problems that could and would occur regularly in any engineering project. The simulation made the participants experience the full project management experiences and enabled teams to make mistake in a safe environment, thereby producing valuable learning opportunities for both individuals and the group. The competition was interactive, taking into account all learning styles and encouraging good business behaviours and forward thinking attitude. Team RodeO put a solid performance, unfortunately not placing this year but by no means finishing last. We learned that management should keep in mind the “never overpromise and under achieve” attitude. One of the biggest failings of any project is optimism; project management needs to take into consideration the worst-case scenarios in order to ensure the projects successful completion. We all think that we successfully enhanced our stress management in this high-pressure working environment, which led us to an increased understanding of how to deal with stressful situations and strengthen our ability to “keep calm and carry on” (the British way). It also provided the team with reassurance that everyone can be trusted to complete their individual task as they are motivated individuals. We all had little experience with project management and finance; hence this course combined with the competition was a challenging experience and tested our competencies, equally providing some of the best learning outcomes to the members of Team RodeO. The competition allowed the group to gain new perspective on our day-to-day jobs, and how we might better conduct ourselves to help achieve our goals. Overall, a great experience was had by all. ODE North Africa LLC (ODENA) made a made a technical presentation at the Egypt Petroleum Show in Cairo on the 12th February. The presentation was given by ODENA’s Technical Manager, Ayman Elbolok and featured the offshore Mediterranean Kamose field development, for which ODE is the design contractor. 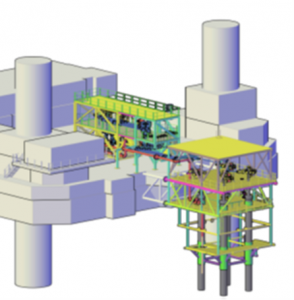 The development located in 30m water depth comprises a self-installing and re-usable offshore gas production platform (jack-up barge). The wellheads and export gas line are located on an adjacent but interconnected, wellhead mini-platform which is supported by the well conductors alone. The conductors and wellhead mini-platform are installed by the jack-up barge crane, therefore negating the requirement for heavy lift crane barges and construction of a conventional jacket. 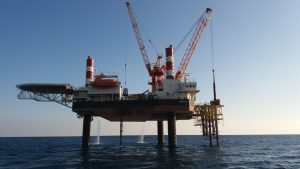 In the age of relatively low gas prices and uncertain futures, the establishment of a self-installing and most importantly, re-usable offshore gas production asset, provides new opportunities for shallow water short production life gas fields, that may otherwise remain un-developed. ODE AM (ODE Asset Management Limited), a subsidiary of ODE Group Limited, hosted a supplier’s event to introduce the company, and future partnership opportunities, to over 70 visiting companies. 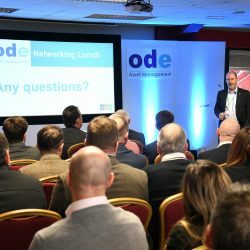 The event, which occurred in conjunction with NOF Energy at the Middlesbrough Stadium on 24th January, featured presentations by ODE’s Sales and Marketing Manager Garron Lees, and Neil Westwood, ODE AM’s Operations Manager for the IOG Assets. 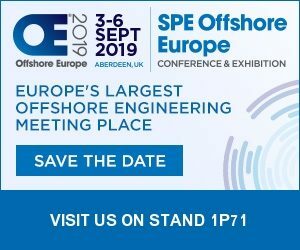 ODE AM’s future operations in the North Sea feature the IOG Blythe and Vulcan Developments, and the HGS Tolmount Development. ODE AM was appointed as a key contractor by IOG and will be providing technical and operational support throughout the execute phase to the Blythe Hub and Vulcan Satellites Hub developments. Once this role is completed, ODE AM will then act as Duty Holder for all IOG assets. ODE AM will also act as Duty Holder for the HGS Tolmount Development, managing the Humber Gathering System which will export gas from the Tolmount gas field to the Easington onshore terminal. These new projects introduce opportunities for partnerships with other companies in the oil and gas sector. For both operations in the North Sea, ODE AM is supplying crew capability and onshore support but is also seeking to source other services. Logistics: Helicopters, Supply Vessels, Walk to Work Vessels, Onshore Transportation. Specialist Vendor Support: Cranes, Metering, Control Systems, Fabrication. Fabric Maintenance: Scaffolding, Painting, Inspection Services. These contracts will create opportunities for long-term strategic partnerships with ODE AM keen to work with companies who strive towards innovation, flexibility, and intelligent solutions. Paul Dixon, ODE’s Director for the MENA Region and General Manager for ODE North Africa LLC was recently interviewed by Petromining Magazine, and shares his perspective on the Egyptian oil & gas market along with ODE’s plans for growth within the Region.